Save the Date! To celebrate the creativity and vibrancy of San Francisco, AIGA SF is curating a new exhibit inviting a serious lineup of influential designers, photographers and illustrators to create a unique poster of their personal impressions of the city. The inside/outsider perspective is reflected in the exhibition’s name InsideOut SF and will feature participants from the Bay Area, as well as those from around the world. A Gala will be held November 12th and feature a silent auction to benefit the San Francisco chapter of AIGA, with all funds raised going towards scholarships, educational programming and community events throughout the year. 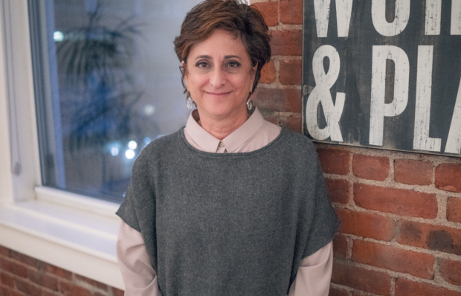 Judy was delighted to be featured on the High Resolution video podcast series. Focused on Design Leadership, High Resolution is the passionate endeavor of Bobby Ghoshal and Jared Erondu, showcasing some highly inspired dialogues. Our conversation ranged from Wert&Co.’s history recruiting creative leadership over the last two decades, to some of our behind the scenes insights and tools, and even our favorite children’s book Harold and the Purple Crayon and how it can serve as a metaphor for mapping one’s own professional (and personal) journey. 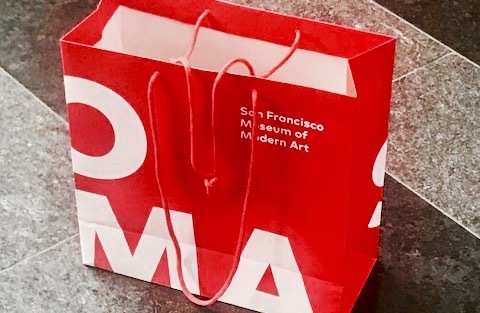 On our recent business trip to the left coast (after a pit stop for the fascinating Renaissance Weekend in Utah), we were finally able to visit the renovated SF MOMA. And while we don’t exit thru the gift shop, well, actually we did. And the bookstore left us with plenty of summer reading inspiration — from A Smile in the Mind: Witty Thinking in Graphic Design (the classic had a new edition out last year — over 1,000 visual examples of humour, irony and playfulness in graphic design and branding over the last few decades) to the Little Book of Hygge (which just might make us look forward to the winter or at least a visit to Copenhagen!). 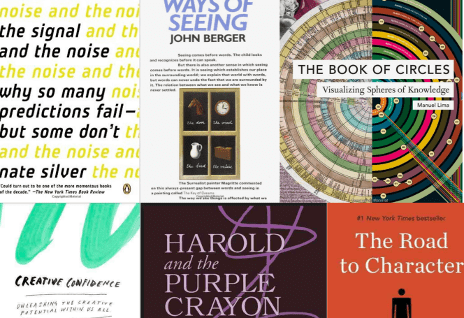 There’s a lot happening these days at Wert&Co.–reflected in six books we would like to share with you. We’ve been preparing for a few talks and seeking to understand ourselves and our work more deeply, finding inspiration from the self discovery of childhood to the wisdom (hopefully) gained over the years. This month we also mourned the loss of John Berger who’s seminal Ways of Seeing provided us not just with a tool to view art in a revolutionary way, but a tool to understand critically the images that surround us. Finally with data ruling the day, in both politics and our work, we’ve found ourselves recently in a deep dive on both the mechanics, design and ethics of this fascinating subject.